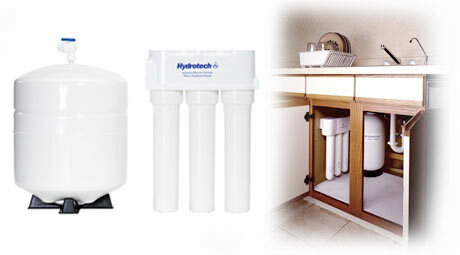 Our Reverse Osmosis Drinking Water System produces the highest quality drinking water available for your home or office. We have systems with certifications to reduce many chemicals including chromium. Having more than thirty years of experience with service and installation, gives us access to a large selection of brands and manufacturers and allows us to hand pick the very best products for each customers needs. Our best selling reverse osmosis systems carry a 10 year warranty and NSF certifications. We use high quality filters that need to be changed only every 12 months. We have a FREE service reminder program for all of our customers. Contact California Water Treatment today at (916) 983-1000 and start having better tasting, higher quality water at your finger tips! We have great customer retention!